Experienced, gentle chiropractic care for you and your whole family. 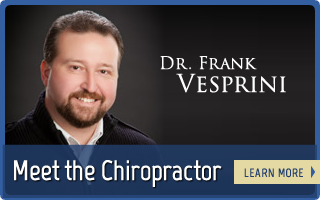 “Being a chiropractor is the most fabulous job in town,” says Detroit chiropractor, Dr. Frank Vesprini. Dr. Vesprini is passionate about helping as many people as he can at Vesprini Chiropractic Life Center. 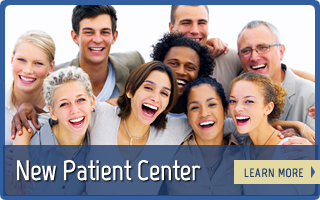 With a convenient location and later office hours, we are here and available to see how we can help you feel great! It is my personal philosophy to seek out and eliminate the fundamental underlying cause of your problem. I will always attempt to lead you to the true nature and cause of your health issues so that you can take an active role in your healing process. At Vesprini Chiropractic Life Center, we sincerely want to help everyone in our caring, down-to-earth office where we know everyone by name. We’ll treat you like family because we care about you regardless of where you come from or where your health stands. Dr. Vesprini works to help the community through gentle, natural care, without using drugs or surgery. 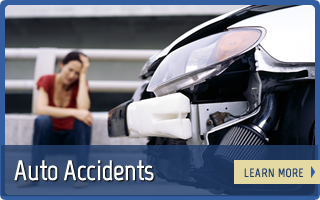 Through chiropractic care, he’ll work to help remove any interference so your body can heal naturally. Our desire is to see our practice members abandon the prevailing sickness care model of health (waiting for symptoms and then taking action), in favor of the emerging wellness model. If you have a health problem such as back and neck pain and haven’t been able to find relief, now is your time. We offer massage therapy and rehabilitative therapy to overcome your aches and pains from life, sports injuries or auto accidents. Let’s get you started on your road to wellness. Call your chiropractor in Detroit today! Vesprini Chiropractic Life Center is located on Detroit’s East Eight Mile Road on the East side of Detroit. We proudly serve the communities of Detroit, Warren, Eastpointe and surrounding areas. I went to Dr. Frank because I had a headache, I could tell it was somewhere in my neck and back. I told Doc what I was feeling and where and he “snapped” me back into shape. Within minutes, my headache was relieved. I know I can count on Dr. Frank – ALWAYS. I felt better after my first visit. I’m looking forward to going back. I’ve been experiencing severe back pain which interrupted my sleep at night. After just my first visit I finally had eight uninterrupted good night sleep. I definitely looking forward to the final outcome! Dr. Vesperini is very nice and friendly and really cares and takes his time with meeting each person’s needs! My children and I had a very blessed experience and we’ve only been there 2 times… great service and the Dr was very informative .. more than my whole experience with chiropractic care. Thank you! I’ve been going to Vesprini chiropractic for many years. Dr Frank has always helped me with my sciatica problem. When it flares up he knows exactly how to treat me and I definitely get relief. His staff is very friendly, you feel welcomed the minute you come in the door. With Dr Franks experience and expertise his main interest is getting you out of pain and into maintenance so you’re able to live life normal again. At first I didn’t think that adjustments to the spine or as I use to call it ” getting your back cracked” would or could really make a difference in how your body feels. After a couple of visits there was a drastic change in my pain and my mood. Once you go and the doctor explains how it works and the effects of an unaligned spine can have on your nerves, you’ll see why it works and you’ll believe it works once you start treatments.